I think this dress is possibly one of my most favourite makes to date. AND I actually think I might wear it. Out of the house! Maybe tomorrow. I'm already contemplating if it's too casual for my workplace (which lets face it, is one of the most casual places on earth besides the beach) cos I'd like to wear this on Fridays...and Mondays maybe too. This dress is directly, 110% inspired by (or ripped off from) a Uniqlo dress I bought over the Australia Day long weekend. I saw a women walking into the change room with it and I immediately raced out into the store to look for it as I LOVED the print so much (it's French fabric...ooh la la). I was pretty sure it would look terrible on me, but I think the shape is quite OK (confirmed by my shopping buddy and also husband at home later). I wore my Uniqlo dress out to brunch the next day with my beloved clogs (and Marimekko) bag and I felt really...modern (which I hardly ever feel). The more I looked at the dress, over my bacon and egg roll, the more I thought it was the same shape as Tessuit's Gabby Dress (which I've made once in a woven but it didn't work for me). 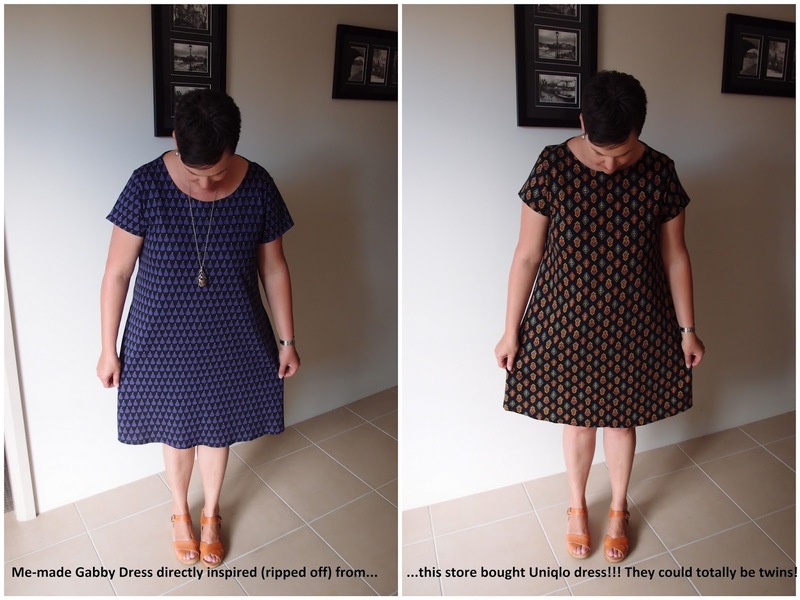 When I laid the Uniqlo dress on top of the Gabby Dress it was a perfect match. 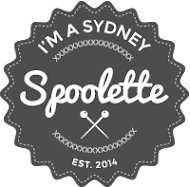 So off to Spotlight we went where I found this fun, but not too twee cotton knit that was 30% off. I wanted something with a bit of structure...not too slinky, but not too stiff either. The fabric is the same as the umbrella fabric I used for one of my Myrtles (but it wasn't slinky enough for that type of dress). This was a VERY simple make. I didn't follow the pattern instructions as I figured it was the same as the Coco Dress which I've made four times now. The neck, sleeves and hem are all just turned under the width of the overlocking (is that too narrow - it seems the easiest?) and stitched down with a small zig zag stitch. I wasn't going to finish the hem or sleeves as I was feeling lazy, but I came to my senses eventually. 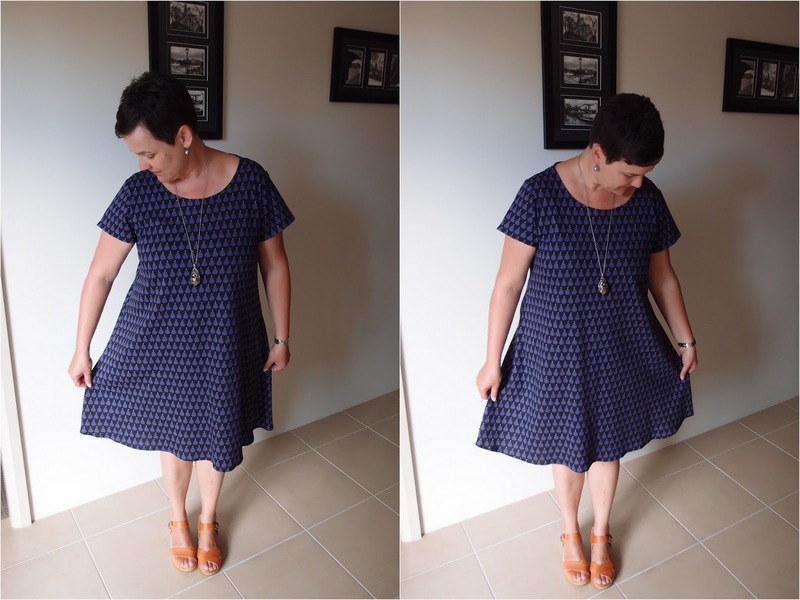 I sewed the largest size for this dress, an L. It is pretty much sewn entirely on the overlocker so it has a very scant seam allowance, rather than what the pattern recommends for the woven version it is designed for. It is definitely more roomy than the woven version I made (good for around the back and arms) though it was too big in the body, especially from the bust down, so I ran it in a bit on each side. I also lengthen it by 10cm, which was WAY too long so I hacked off 8cm...which was too much, so next time I'll lengthen by 5cm. 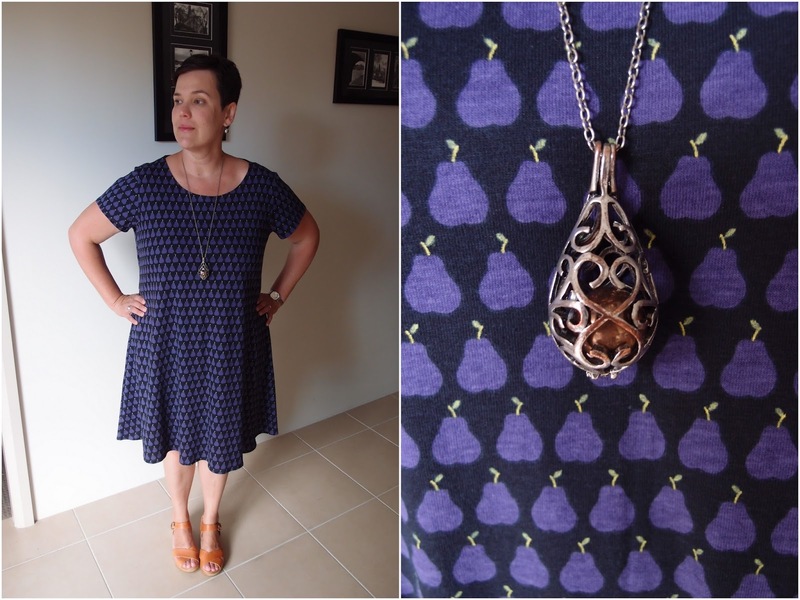 Speaking of clogs...I think my pear dress looks pretty good with my clogs! Actually, I think I'm just going to sew a wardrobe based around my clogs. You're 100% Scandi style now Mel - Funkis, Marimekko and pear print fabric! I made the Gabby in an ill considered woven that had too much body in it, hence I have only worn it once as it felt like a potato sack. Very interested to try it in a knit like you have, and get that lovely drape. Ooh I love this! I've been toying with the idea of a knit gabby. After seeing yours I think I'll definitely be making one. Love the print you used. And a wardrobe style around your clogs sounds like a brilliant idea! I love this dress. It definitely looks great with clogs (and not too casual for work!) I will have to check out the pattern.